Dr. Deepa Biyyam graduated the medical school of Miraj Medical College and completed her residency program at University of Washington. Soon after that, two fellowships at the University of Washington followed, one in pediatric radiology and one in abdominal radiology. Dr. Biyyam is specialized in radiology and board certified in nuclear medicine, diagnostic radiology, and pediatric radiology. 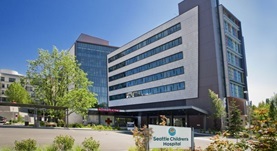 She has been in practice for more than 11 years and is affiliated with the Seattle Children's Hospital. During her career, she published 6 writings of medical interest in partnership with other doctors. Dr. Deepa Biyyam has contributed to 3 publications. Stanescu, L.,Ishak, G. E.,Khanna, P. C.,Biyyam, D. R.,Shaw, D. W.,Parisi, M. T.; Radiographics. 2013 Sep.
Nixon, J. N.,Biyyam, D. R.,Stanescu, L.,Phillips, G. S.,Finn, L. S.,Parisi, M. T.; Radiographics. 2013 Sep.
Biyyam, D.R., Chapman, T., Ferguson, M.R., Deutsch, G., Dighe, M.K. ; Radiographics. 2010 Oct.